Good News! The Enormous Facebook Data Breach Only Has 30 Million Victims!The company is working with the FBI to investigate. Hoo Boy, China May Have Hacked Apple, Amazon, and Dozens MoreTiny microchips implanted on motherboards used in servers by Apple, Amazon, and over 30 other companies are now under intense scrutiny. Only 11 Percent of the State Department’s Devices Are Highly SecureEven the U.S. State Department does not use multi-factor authentication. PSA: You Can Revert to Classic GmailIt’s true, we’ll show you how. Should Companies Be Allowed to Revenge Hack?The idea of companies retaliating against hackers is gaining traction — but it could lead to an escalation of conflict or even global war. Microsoft Uncovers More Russian Hacking Attempts Ahead of MidtermsThe company seized six sites targeting the U.S. Senate and conservative think tanks, which were created by hackers linked to the Russian government. Somebody Hacked a Democratic Opponent of ‘Putin’s Favorite Congressman’It’s a mystery, and nobody’s making accusations, but it can’t be good for Dana Rohrabacher that his pro-Russian views are getting fresh publicity. Stephen Colbert Celebrates DOJ Arrest of Alleged Arby’s HackersOur elections might remain vulnerable, but your secret Double Beef ‘N Cheddar habit will finally see justice. Homeland Security Says Russian Hackers Could Have Caused BlackoutsHackers working for Russia breached hundreds of U.S. targets, including power companies. Why Russia’s ‘Independent Internet’ Has Some Experts WorriedSecurity experts warn that Russia’s new DNS alternative could increase the odds of a large-scale cyberattack. 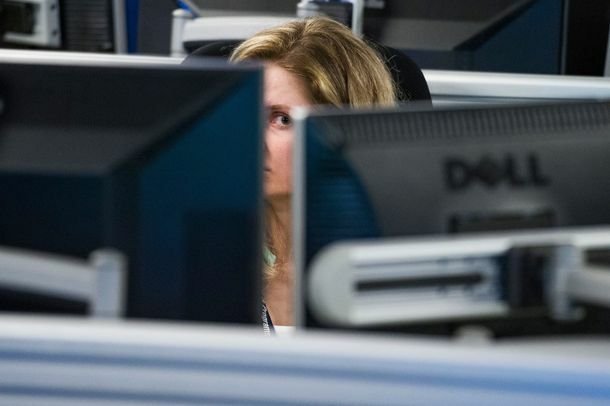 Russian Cybersecurity Firm Severs Ties With Europol Over ‘Malicious’ ActivityThe alleged Russian conspirators have found themselves at odds with the European Union. 15 Arrested for Suspected PUBG Cheating, Fined $5 MillionMore like Hacker Known’s Battlegrounds. 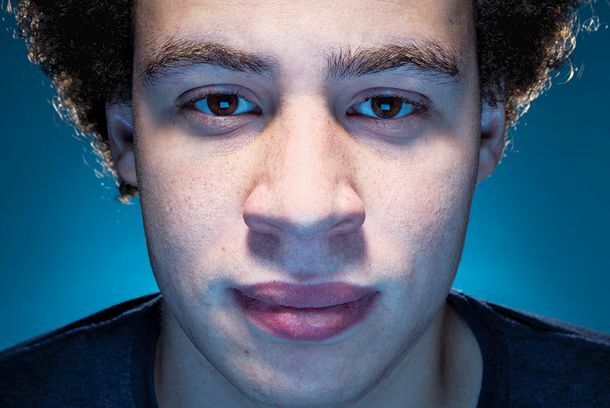 Does a Hacker Hero Always Have to Have a Past?Marcus Hutchins single-handedly stopped one of the most dangerous cyberattacks ever. Then the FBI arrested him. White House Objects to Russian Hacking That Doesn’t Benefit TrumpThe Trump administration’s vow to punish Russia for a ransomware attack last year contrasts with its blasé approach to its meddling in our elections. Turkish Hackers Are Targeting Former Fox News PersonalitiesThe world is, as they say, bigger than five. Romanians Charged With Hacking D.C. Security Cameras Days Before InaugurationIt was allegedly part of a ransomware scheme. Job-Hunting Tip: Don’t Threaten to Hack a Company Unless It Hires YouWrote one job seeker: “You have two choices. Get rid of her and hire me. Or slowly be chipped away at until you are gone.” He was not hired. Hackers Say All It Takes Is a Good Mask to Fool the iPhone X’s Face IDApple promised Face ID was twice as secure as Touch ID. But is it? Here’s How Easy It Is for Someone to Hack Into Your TinderIt might be time to go back to dating the old-fashioned way. North Korea’s Most Powerful Weapon Is Its Cyber ApparatusSure, nukes are flashier, but that’s not all you have to worry about. Report: John Kelly’s Personal Cell Phone Was HackedPresident Trump’s chief of staff gave the device to White House tech support earlier this summer complaining of problems. Equifax Is a Superfund SiteThe penalties for companies that harvest data and then get hacked should be much higher. So What Happens With All That Equifax Data?The data is on the loose, ready to be sold to the highest bidder. Ukraine Is Proving Key to the DNC Hack InvestigationOne hacker whose code was used is speaking with authorities. The Nation Article About the DNC Hack Is Too Incoherent to Even DebunkDon’t bother. Microsoft Is Using Its Lawyers to Go After Fancy BearBut it still doesn’t know who Fancy Bear is. If Someone Knows Your Birthday, They Could Hack Your MyspaceIt may be time to close down your old Myspace account for good. I’m So Excited to Precision-Cook Meat While Also Remotely Attacking WebsitesMy new sous-vide circulator comes with an internet connection, which is convenient both for me and for any teenage hackers creating a botnet. Report: Hackers Successfully Altered Voter Data in 2016 ElectionPersonal information, like partial social-security numbers, was also reportedly accessed. Russian Hackers Are Secretly Communicating Through Britney Spears’s InstagramReally. One Way to Protect Elections From Hacking: Paper BallotsWe can’t guarantee election security, but we can guarantee election integrity. What You Need to Know About the New ‘Judy’ MalwareSeemingly innocent games, like Fashion Judy: Magic Girl Style, have been found to be at the center of a massive malware attack. Why Today’s Ransomware Hack Is Such a Persistent ThreatIt’s tough to upgrade an entire computer network at once. Hacker Group Releases NSA Tools for Hacking WindowsThis is bad news for a lot of PC owners. Report: Manafort Faced Blackmail Over Russia Connections During Trump CampaignThe story was revealed after the phone of Manafort’s daughter was hacked. The FBI Is Reviewing the Sundance Film Festival CyberattackA hack that shut down box offices on Saturday is being looked into. The Mirai Botnet Was Probably Made by a Rutgers Student Who Brags Too MuchA massive investigation by internet-security expert Brian Krebs seems to have unmasked the person behind one of the most famous botnets ever. Italian Siblings With Finance Ties Arrested in Bizarre, Masonic-Themed HackTheir victims appear to include former Italian prime minister Matteo Renzi, the president of the European Central Bank, and a Vatican cardinal. DNI Report: High Confidence Russia Interfered With U.S. ElectionBut there’s little evidence that’s not classified to back it up. Could a 14-Year-Old Have Hacked John Podesta?Trump is leaning on Assange’s word, but the evidence tells a different story.